IML340: The Praxis of New Media became such a compelling course that it has become a regular part of IML curriculum, each year focusing on a new filmic text that forms the basis of the class. 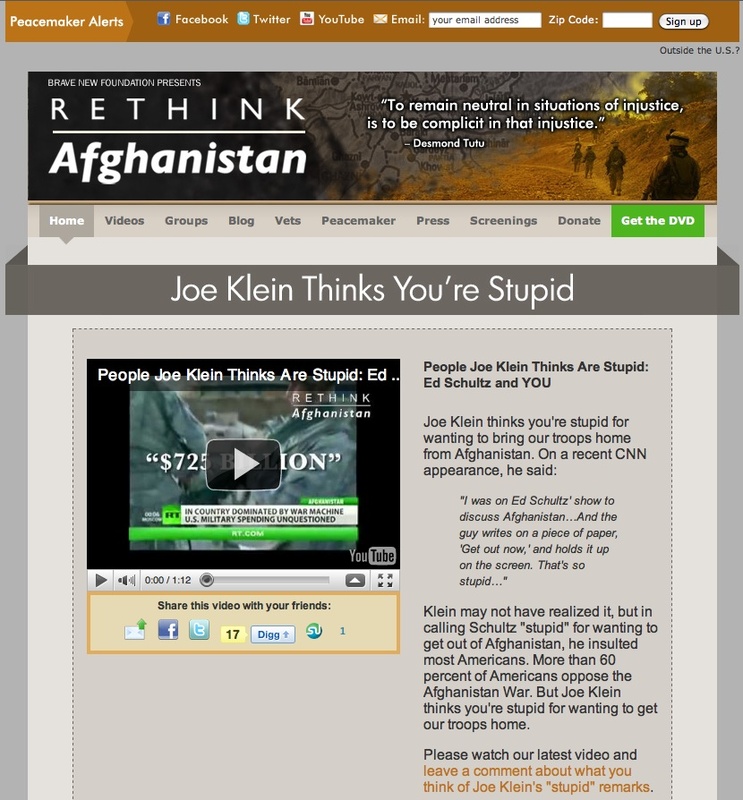 During its second year, the class turned to Robert Greenwald's Brave New Films and their project, Rethink Afghanistan; students accessed one hundred hours of footage assembled by Brave New Films which served as starting point for their own research and digital production. 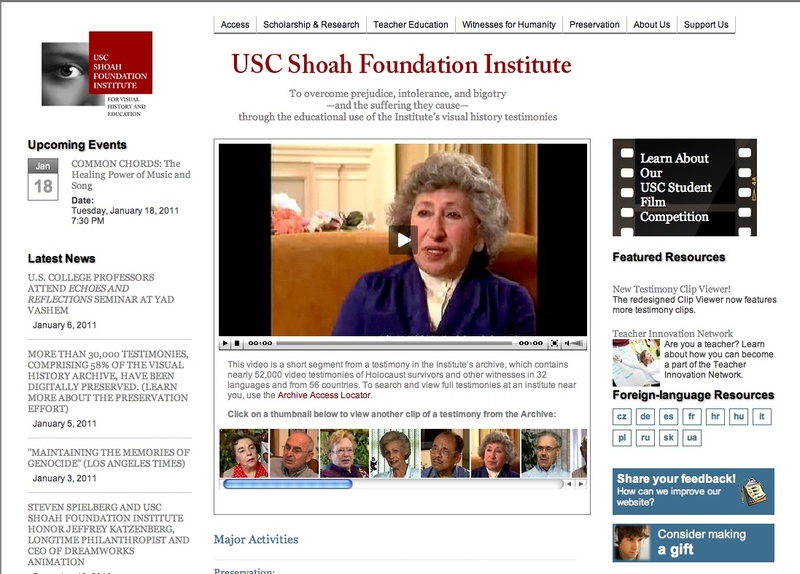 During the current year, 2010-2011, the class is directing its attention to the Shoah Foundation's Visual History Archive. This archive contains more than sixty-thousand filmed testimonies of holocaust survivors and represents the largest such archive. The Shoah Foundation is expanding their scope to include genocides, such as the one that occurred in Rwanda. As such, it will be an important archive with which to engage; equally important will be extending the research on psychic numbing and its recurrence in a 'civilized' culture. This rule set is a valuable framework as we move forward, informed by history but driven by the context of the digital world. The last rule, learn to toggle, is key; it reminds us to avoid "the kind of binary thinking that frames digital media as either revolutionary or disastrous," and, in so doing, we can see the inherently ambivalent nature of emergent technologies whose liberatory potential is inextricably linked to their development and usage. 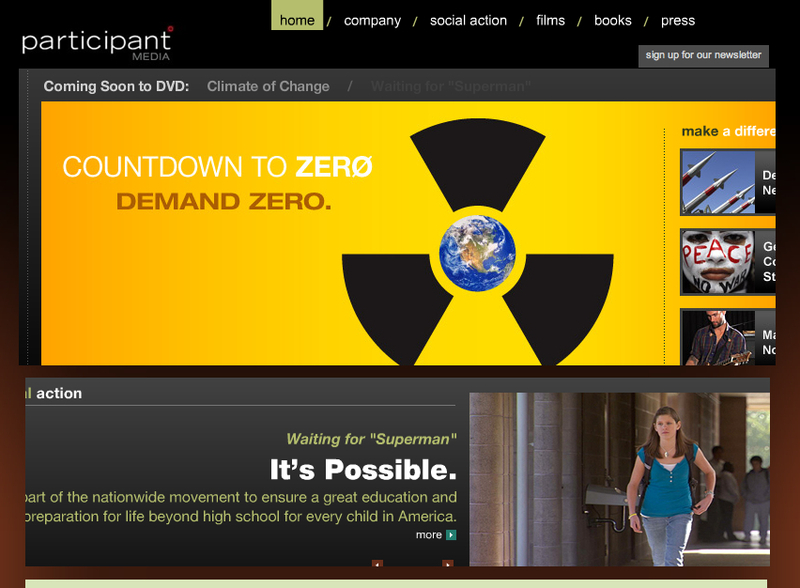 So, for instance, we can collaborate with media entities born of the Fifth Estate; Brave New Films is a natural ally, but we can also include entertainment oriented groups such as Participant Media, whose feature-length films include opportunities for social action based on the themes that arise within them. We can also recognize that a productive avenue for this work comes by way of extending its interactivity, and collaborate with game theorists and practitioners. Using historical research for games is an activity born of the Fifth Estate. 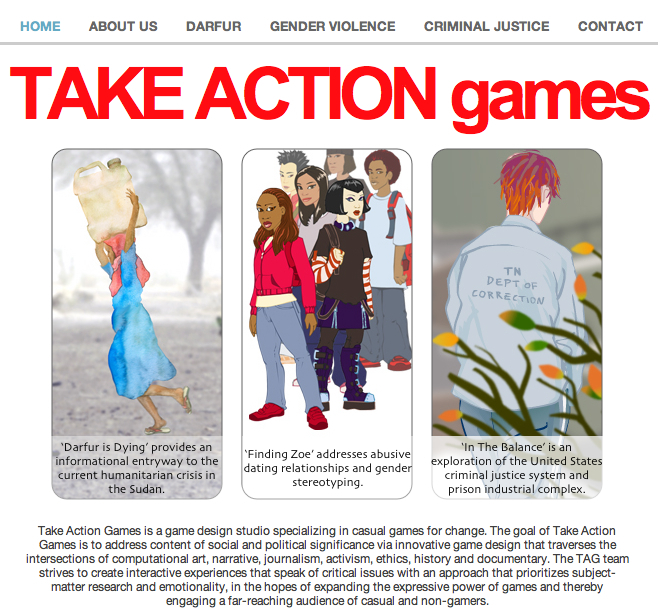 Indeed, activism is the goal of Take Action Games, the collective formed by Susana Ruiz, Ashley York and Huy Truong in 2006 while Ruiz and York were graduate students in the Interactive Media Division of USC's School of Cinematic Arts. Ruiz's thesis project, Darfur is Dying, is a prominent game designed to raise awareness and spark social action: Composing letters to one's elected officials will advance the level of play, while later stages necessitate avatar collaboration based on affinity. These games, and many more like them that teach, for example, complex concepts from science and physics, help to destabilize the increasingly ubiquitous violence of games like Grand Theft Auto and Call of Duty, those whose long term societal impact remains to be seen. The work of Filmic Texts and the Fifth Estate intervenes in matters of public concern, even as its very practice protects free speech by exercising fair use, a right that, if not used, will be lost. And though each day brings thousands of hours of YouTube footage, from lip synching teens to sneezing pandas, academics should be prepared to harness the available semiotic resources for the purposes of intellectual inquiry, sustained analysis and rigorous production. Discussion of "After Iraqi Doctors"
Version 2 id 8156 of this page, updated 26 January 2011 by Virginia Kuhn. Created by Virginia Kuhn.